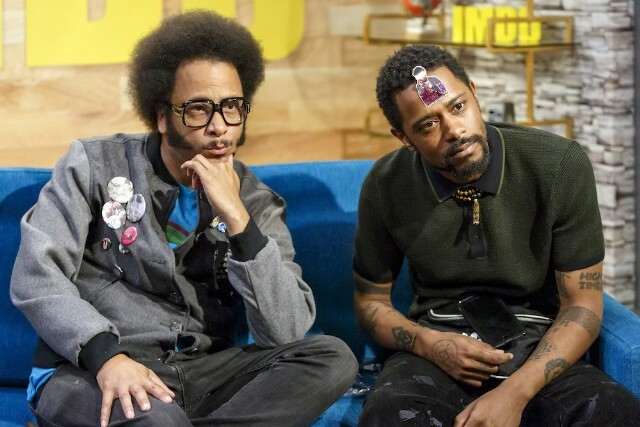 In addition to being the filmmaker behind one of this summer’s most talked-about films, Sorry to Bother You director Boots Riley is also the leader of Bay Area rap crew The Coup. Six years before the movie, The Coup released an album called Sorry to Bother You, and now they’ve got another one—sort of. Today sees the release of the film’s official soundtrack, with nine Coup songs featuring special guests like Janelle Monae, Killer Mike, E-40, and Tune-Yards. The music, unsurprising to anyone who’s seen or heard anything about the movie, sounds raucous and anarchic, with sounds ranging from hip-hop to electro-pop. The opening track, “OHAYTT,” features vocals from Sorry to Bother You star Lakeith Stanfield. Listen to the whole thing below.